Volkswagen in South Africa ran a print advertising campaign with a difference in “Eat The Road”. 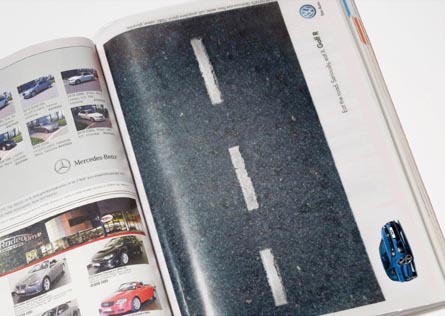 Edible pages were inserted in Auto Trader, with the invitation, “Eat the Road. 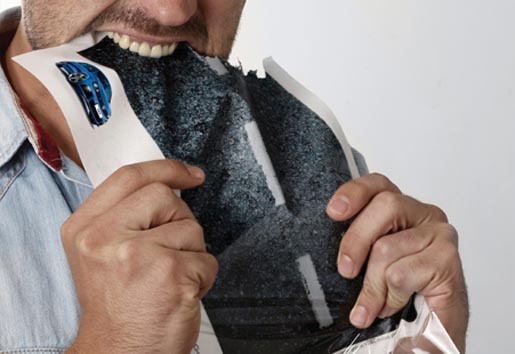 Seriously, eat it,” demonstrating the awesome read-eating acceleration of the new Volkswagen Golf R. Ingredients are glutinous rice flour, water, salt, propylene glycol, FD&C colour, and glycerine. 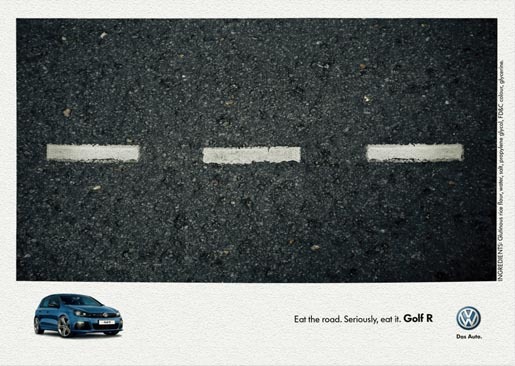 The Eat The Road campaign was developed at Ogilvy Cape Town, South Africa, by executive creative director Chris Gotz, art director Jonathan Lang, copywriter Tommy Le Roux.